The highly sought-after 75227 Darth Vader Bust is finally available from Target for REDcard members. Originally announced as a limited-run Star Wars Celebration set going on sale starting April 11th, the retailer took its time posting the listing. 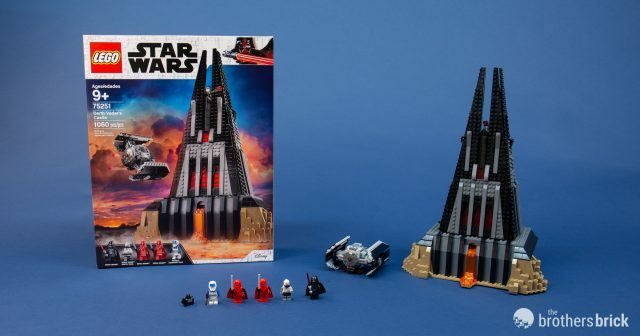 The exclusive set contains 327 pieces and retails for $39.99 US. For those of you who are either based internationally, not Target REDcard members, or just don’t want to hassle with the order system, we posted instructions on how to build the set from your own pieces, Bricklink or LEGO Bricks and Pieces service. 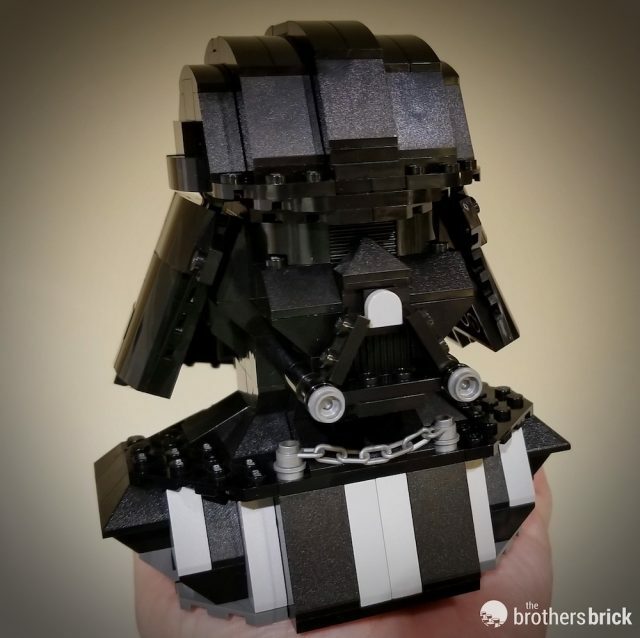 Last month, LEGO revealed the exclusive 75227 Darth Vader Bust set for Star Wars Celebration 2019. Convention exclusives are usually very hard to obtain and command a high price on the secondary market from scalpers. Thankfully, LEGO is somewhat addressing that since this set will also be available to Target REDCard members online starting April 11th until supplies run out (which we expect will be very quick). While we celebrate that the set won’t be entirely exclusive to the show in Chicago, it will still likely prove to be a hard-to-get collectors item elsewhere around the world. 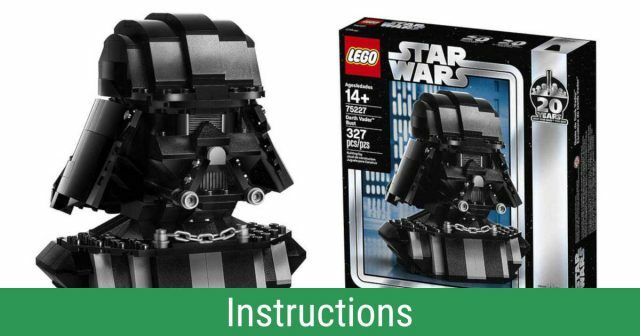 We know many of our international readers have bemoaned the fact they can’t get the set, so we are happy to report that LEGO has published the instructions and parts list for the Darth Vader Bust online. You can download the instructions from LEGO here (the file is 23 MB). 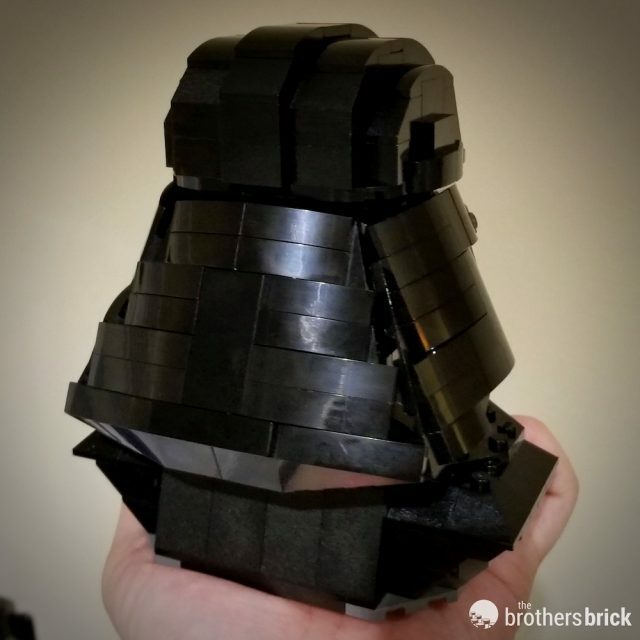 Our very own News Editor Dave Schefcik has already searched through his collection and built the Darth Vader Bust with only a few pieces needing to be substituted with alternative parts. Behold Lord Vader! 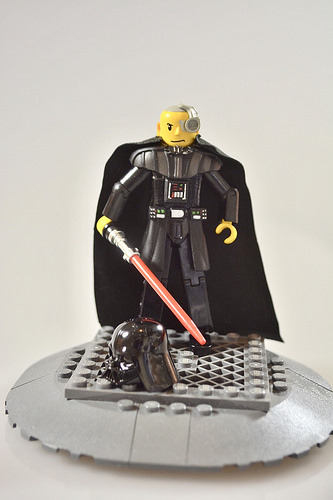 Dave also discovered that the Darth Vader Bust contains two new unique pieces: a pair of 4×6 right/left plates in black that help shape the back of the helmet. 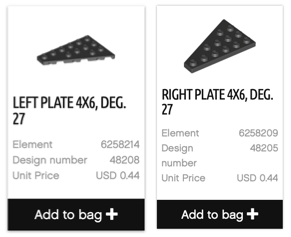 These wedge plates are relatively new and are only currently available in white on Bricklink (also available in red on LEGO Bricks and Pieces). Dave substituted them with the more common 3×6 right/left wedge plates and got close to the final look. 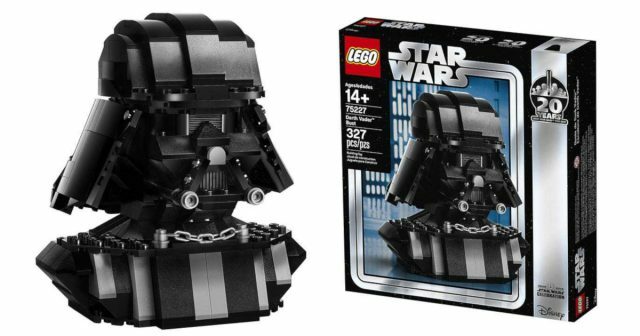 That total cost is only $10.91 more than what the set will retail for ($39.99) so it is a pretty good deal if you want to just build the Darth Vader Bust with new sorted brick from LEGO using the digital instructions provided. Yes, you wont have the box or printed instructions–but for many fans who won’t be able to get their hands on the set mint-in-box anyway, we are happy there’s a way for everyone to enjoy building it. 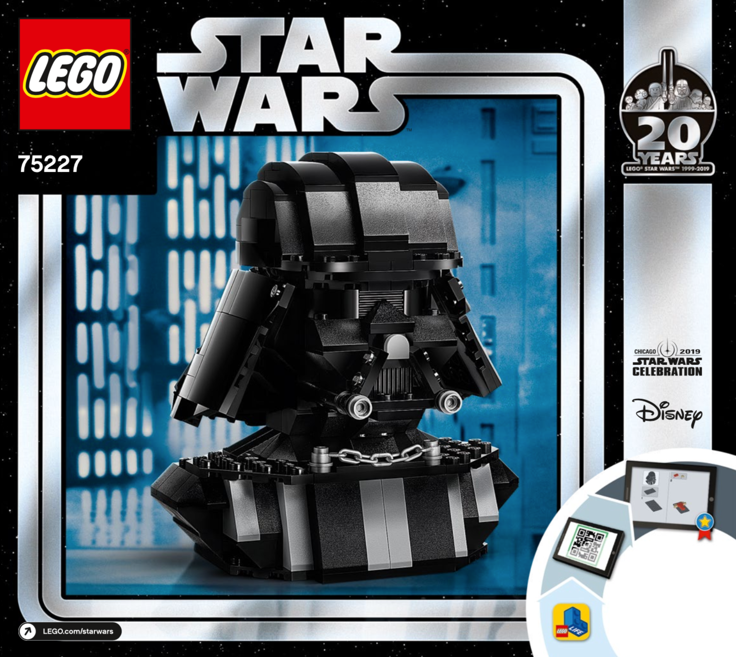 LEGO has revealed 75227 Darth Vader Bust, another set in their Star Wars 20th Anniversary lineup. The exclusive set contains 327 pieces and will retail for $39.99 US. The set will initially be available at Star Wars Celebrations, with limited general availability to Target REDcard members on April 11th. 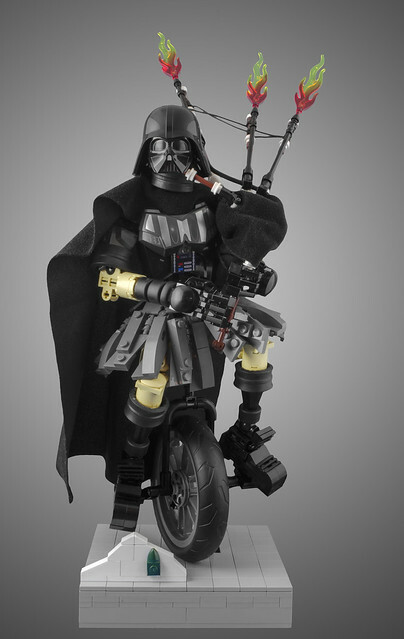 What could be better than Darth Vader riding a unicycle while playing flaming bagpipes? If you visit Portland, Oregon you might be lucky enough to catch a glimpse of the Unipiper, a unicycling, bagpipe-playing, costume-wearing street performer. He achieved fame for riding around as Darth Vader while playing a rendition of the Imperial March on bagpipes. Patrick Biggs has captured the Unipiper in all his quirky glory, right down to the flames shooting out of the bagpipes. Patrick claims this was a last minute build, but his model looks both well-planned and well-executed. One thing we all learnt from Rogue One: A Star Wars Story is that you don’t want to stand between a Sith Lord and his blueprints! 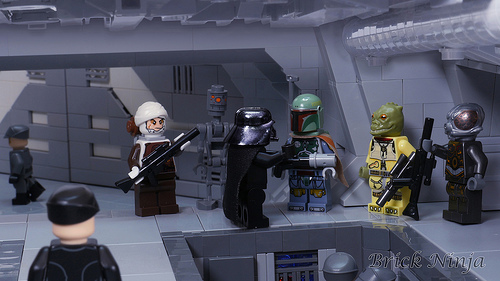 NS Brick Designs has done an amazing job of capturing the iconic scene, giving us Darth Vader in full on rage as he storms the gantry corridor toward the fleeing Tantive IV. 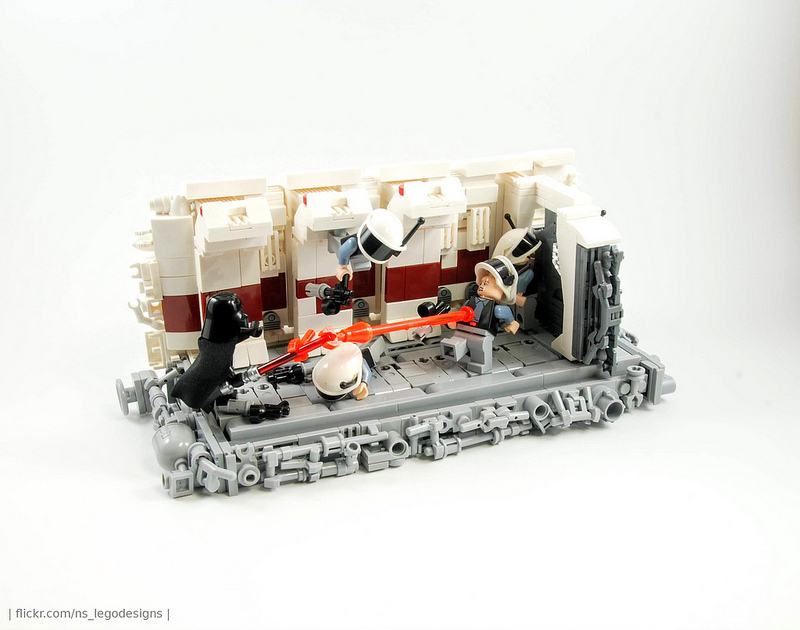 It may only be a small LEGO build, but through the careful placement of the scattered Rebel troops — one being pinned to the ceiling by a force throw — captures the sweeping flow of the sequence. The interior is the other star, overflowing with accurate details. The panelled floor constructed from Technic bars showing just how far things have been taken in the pursuit of the perfect build. Whatever people may think about Darth Vader’s regime, there’s no doubting his taste for classy work spaces. Whether he’s working from his head office or on a business trip to a distant system, the interior and the views he and his staff enjoy are to be envied. Brick Ninja perfectly captures his excellent model of the Imperial Super Star Destroyer Executor, so perfect it looks almost exactly like a shot from The Empire Strikes Back. And it’s not just a pretty-looking diorama, but a proper copy of the ship’s bridge. While the front of the bridge is for admiring the fleet, there are some important business meetings happening on its other side. The LEGO Star Wars sets from Rogue One, released in late 2016 and early 2017 to support the movie, include several of my favorite LEGO Star Wars sets of the past few years, like the fantastic 75172 Y-wing Starfighter and 75155 Rebel U-wing Starfighter. I’ve hoped that LEGO would return to world of Rogue One, and with the recently released 75251 Darth Vader’s Castle LEGO returns to the first Star Wars Anthology film. The set has had mixed reactions from LEGO builders and collectors since it was first announced several weeks ago, but how does it actually stack up? 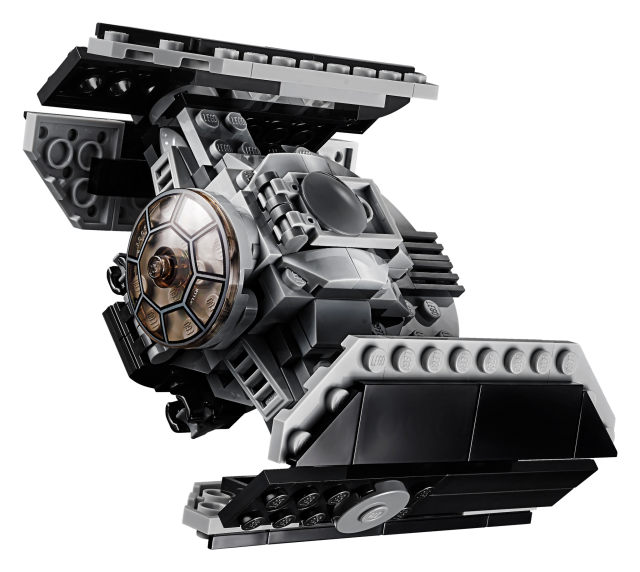 Most LEGO Star Wars sets are naturally starships and various vehicles for transportation to the many planets of the galaxy, so every building or other structure released by LEGO sparks many fans’ interest. This time, the galaxy’s greatest villain, Darth Vader, welcomes everyone to his formidable castle on the planet Mustafar, as seen in Rogue One. 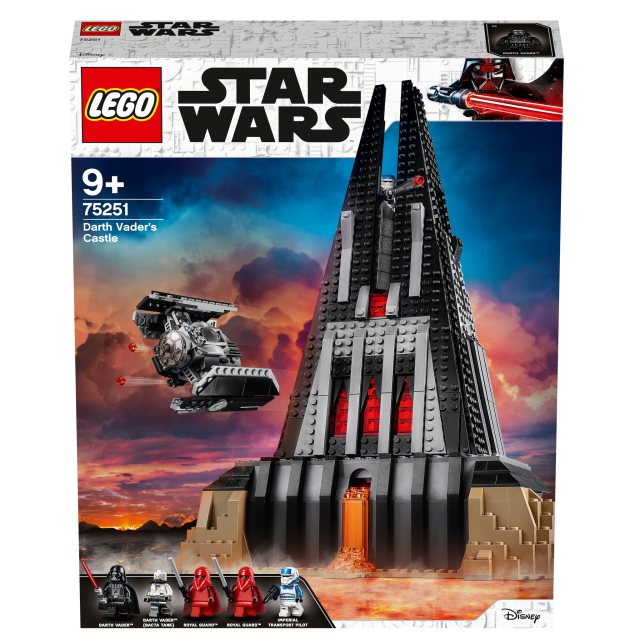 The new LEGO Star Wars 75251 Darth Vader’s Castle, which will be available exclusively at Amazon.com during the upcoming holiday season, features a massive-looking castle built with nearly a 1,000 pieces. 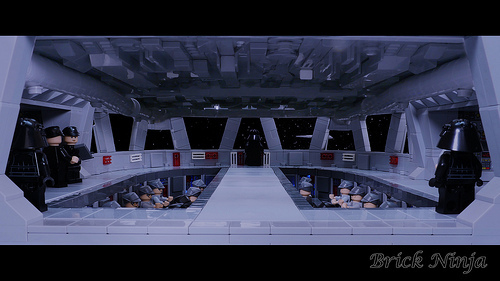 The castle’s hangar houses a copy of the Dark Lord of the Sith’s iconic TIE Advanced starfighter, while the castle itself is populated with Darth Vader in his usual black armor, a second Darth Vader (as seen in his bacta tank), two Royal Guards, an Imperial Transport Pilot, and even a mouse droid. Darth Vader’s Castle has multiple rooms, featuring several play scenarios such as Vader’s recovery in the bacta tank, communing with the Dark Side of the Force in his meditation chamber, and a landing platform at the very top of the castle. 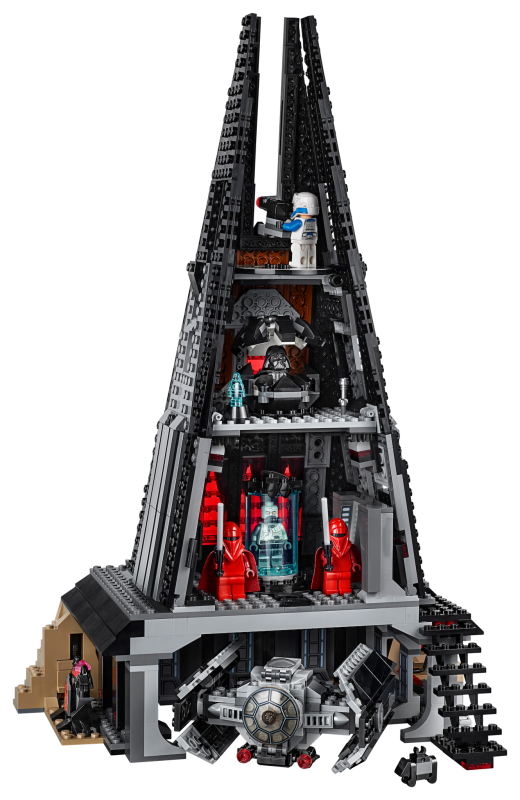 LEGO Star Wars 75251 Darth Vader’s Castle set will retail $129.99 US and pre-orders start October 4, 2018. LEGO Shop@Home has started taking reservations as well. The item will be shipped on 1st December if preordered now. Nowadays, we’re slowly approaching the point at which, when spotting a new BrickHeadz set on a store shelf, you might wonder, “I thought they’d already released this BrickHeadz character!” And this is no joke — with almost 60 figures released so far one can easily lose track of characters turned into funny chubby heroes. Now, you either get each and every one of them to keep your collection complete or spend more time choosing some of the very best sets. 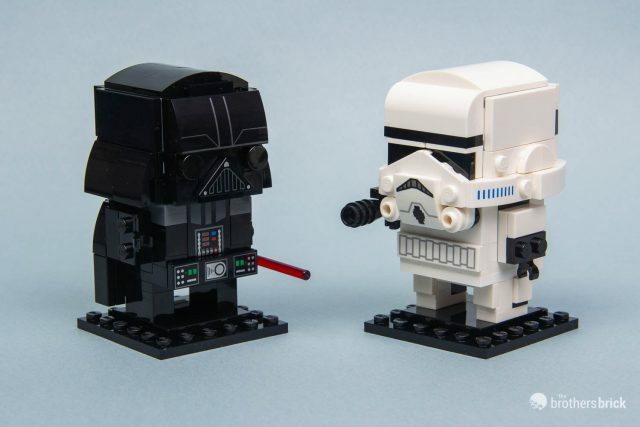 LEGO Star Wars BrickHeadz 41619 Darth Vader and 41620 Stormtrooper totally deserve a closer look. They are not just a couple of iconic movie characters, but also a very solid addition to any BrichHeadz collection. Click here to read our review of the sets! 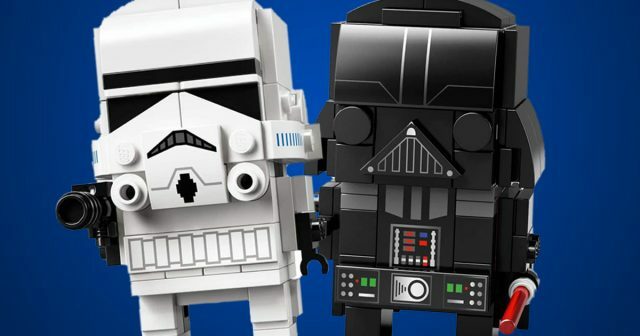 LEGO continues to roll out new entries to the BrickHeadz theme with some regularity, and the latest pair to be revealed hail from Star Wars. Though we’ve had a number of Star Wars characters before, this duo is representing the Empire with Darth Vader and a Stormtrooper. Numbered as 55 and 56 in the series, we don’t have a specific release date for them yet, but we presume they’ll cost the same as previous BrickHeadz, at $10 per character. We’re also getting a look at the box art and series numbers, 62 and 63, for the Ghostbusters two-pack we revealed a few weeks ago. Omar Ovalle is a big-time Star Wars fan with a passion for customizing classic Technic figures from a galaxy far, far away. Omar wowed The Brothers Brick readers with his Endor scout trooper back in 2016. Quite a bit of time has passed since then, but he is back at it again with fully articulated versions of Darth Vader, Han Solo and Jango Fett. You never know what you’re going to get when you ask the right questions. Recently, we had the chance to speak with Douglas Khoo about his work. Douglas is a talented builder who seldom showcases his builds online, but does what he does for the love of it. If the builder’s name rings a bell, that’s because he was part of the crew that was invited to create and build an exhibit for the UNESCO’s Piece of Peace exhibition that will travel the world. Douglas created this magnificent collage of LEGO Star Wars ships with a silent tribute to the Dark Side. This montage only took Douglas about two hours to complete, and if you did not already notice, it’s inspired by a similar piece by artist Louis C. Hébert from the Bleublancrouge advertising agency from the Star Wars Identities Exhibition over at the Montreal Science Centre, back in 2012. The difference though is Douglas makes use of the negative space a lot more to give the Star Wars ships a showcase of their own and individuality. 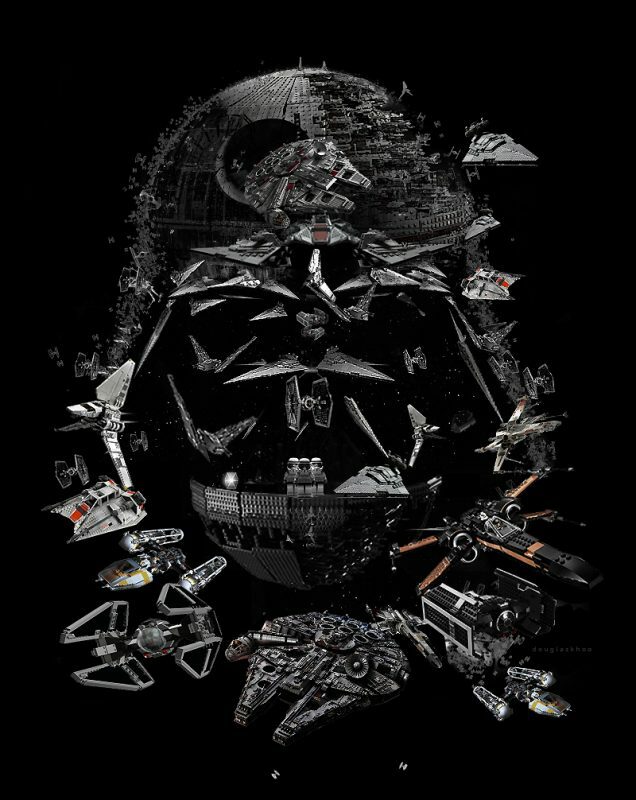 If you still don’t see Vader there, squint your eyes, take a step back and look again! When asked about how big a fan he was, Douglas’s answer was – you’ve got to be kidding me. That’s when we were introduced to a showcase of his other masterpieces which all center around the beloved Star Wars theme. With each of these builds, Douglas adds his own twists of interpretation and re-imagination to the scene.